CIFA concrete-mixers have an excellent mixing capacity and a large geometric volume. In addition, the mixers from 7 to 15m ³ a very light. The Astra brand is also under the limelight and here in Paris is represented by the new HD9. 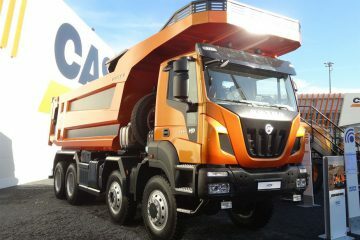 Astra represents the most important reference vehicle for quarry and building site haulage. 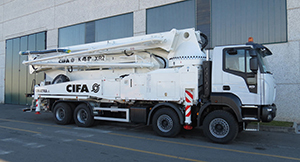 CIFA concrete pumps with the four-, five-and six-sections booms (24m – 62m) you can use CIFA concrete pumps everywhere – even in hard to reach places. 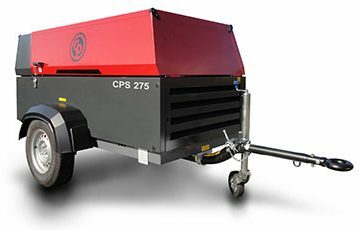 Chicago pneumatic Compressors are designed to withstand the harshest working environments and are ready for what the elements can throw at them. 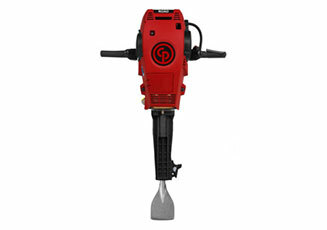 Thanks to our intuitive Control Pressure system these two models give you maximum versatility. 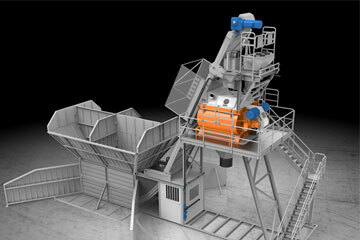 Concrete batching plant equipped with CIFA horizontal twin shaft mixer, consisting of a single module that can be transported by semi-trailer, easy and quick to install. We have a proven record of accomplishment AS we are reputable company In Egypt and MENA Area; we ensure that all products are delivered with professionalism using needed quality while offering full support for our clients. For us, honesty is the only policy and we strive to complete all our deals with integrity, not just with our clients, but also our partners, Our objective is to be one of the most trusted heavy equipment companies in Egypt & MENA Area. We commit ourselves to complete all our deals within the timeline set with our clients. We use the best of technology and tools to ensure that all jobs are done quickly but also giving attention to details and ensuring everything is done correctly. This alliance aims to lead Arak in the forefront of the market leaders in the Middle East and North Africa introducing a few unique selections of reliable and high quality brands Such as : IVECO ASTRA, CIFA and Generac in different sectors including heavy equipment, off-road trucks, concrete equipment solutions and Power generation. Touny Group is a major business group, headquartered in Tripoli in the construction, finance, mining, retail, cement, and automotive Field, with subsidiary offices in 8 countries and its marketing activities and products operates in the Middle East and North African markets, Touny group’s international business partners such as CIFA, SCANIA, ASTRA, Paramac, Bomag, Grove, Terex. KAFAFY group started 15 years ago, with a long record of achieving construction projects, owns and operates series of well-known Hotels and Resorts Such as: OASIS VILLAS, THE VIEW RESORT, and CORAL HILLS built with its own construction and cement manufacturing company New Sharm for construction. Ramy is the CEO of Kar Global Co. which is a subsidiary of the 63 years old Hydraulic Masr group which has sustained market leadership in industrial service field representing a group of worldwide brands in construction, equipment and concrete manufacturing such as: SCHWING, STETTER and LIEBHERR. ARAK is offering an excellent aftersales support of spare parts and maintenance through our well trained & experienced staff, ready to serve our customers in different market segments and country regions.